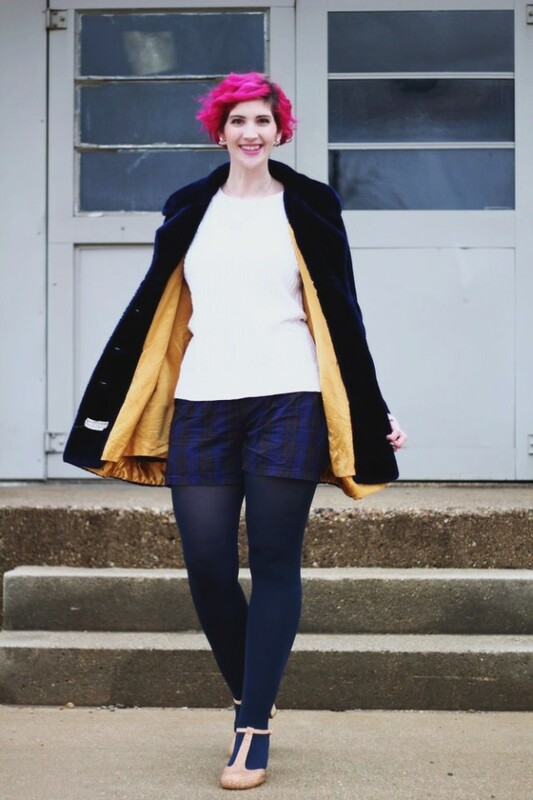 This outfit starts with a furry blue coat* and just gets better from there! The last time you saw this coat it smelled like cigarette smoke (see the thrift haul video here) and now it’s cleaned up and I look smokin’ in it! So how did I get here? Well, after months of trying various cleaning methods and being afraid to wash a “dry-clean only” vintage coat, I threw caution to the wind and threw this thang in the wash. It felt like a Muppet, what’s the worst that could happen? Nothing happened except the smell miraculously went away and it became a free, new-to-me coat. 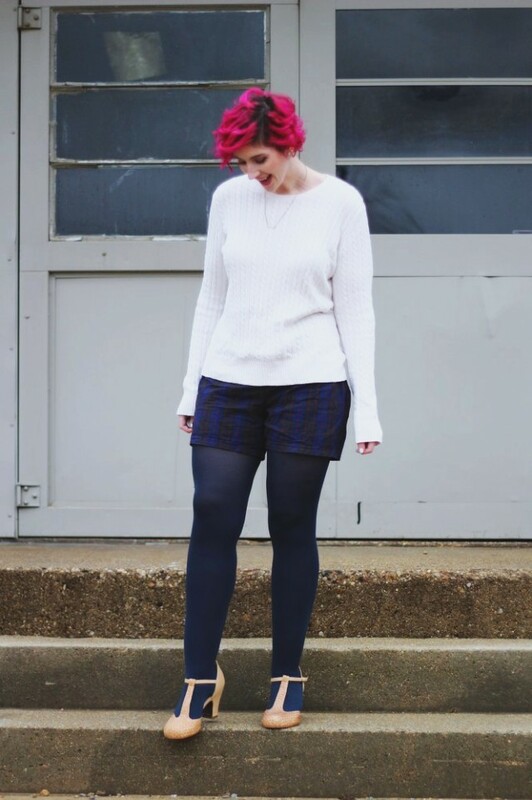 In fact, most of this outfit is cheap, free, or thrifted. 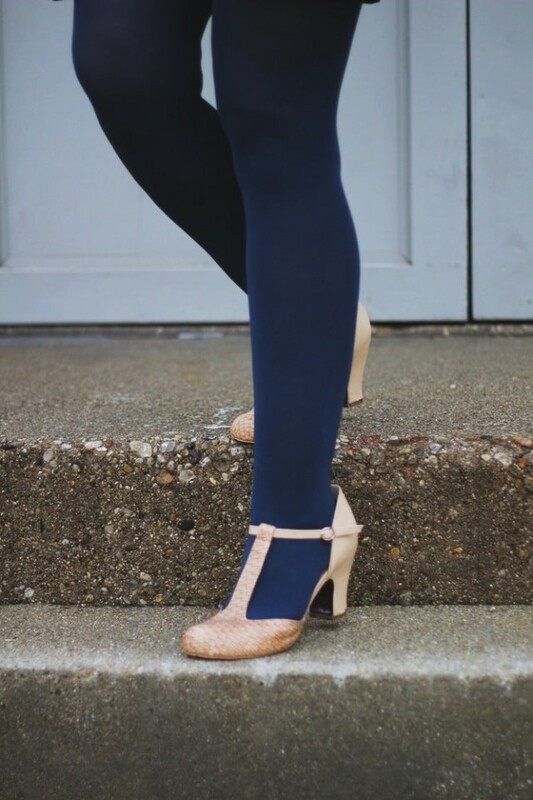 The most expensive item are the stellar t-strap heels I found at an outlet store for $10. I am all over inexpensive shoes for my big feet! 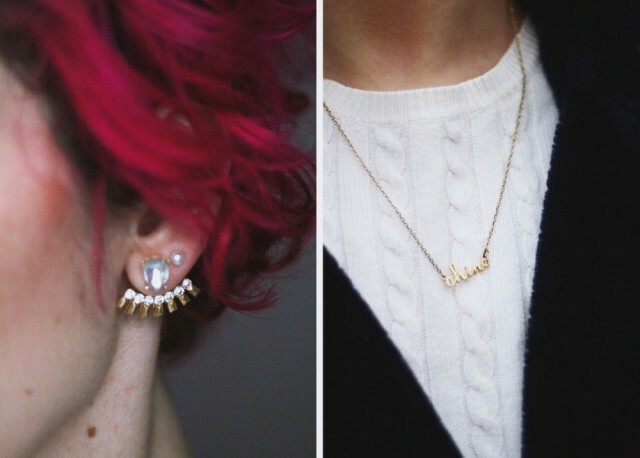 I often feel bad thrifting most of my wardrobe and not being able to hook you guys up with where I get my style, so I’m excited to be able to share the Wal-Mart jewelry deal with you. Definitely check to see if your store is running the deal too! As you might have guessed, the other parts of my outfit were thrifted. 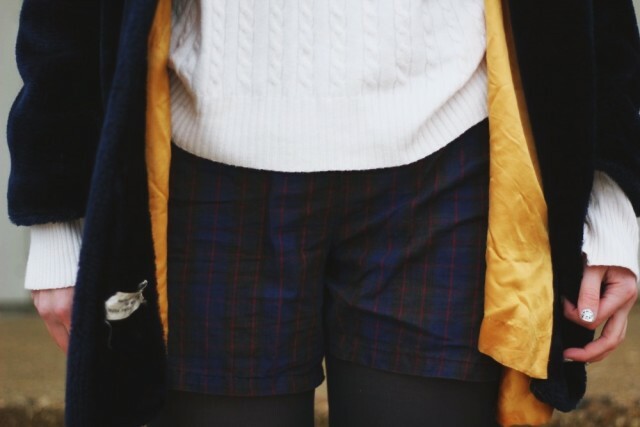 The plaid shorts and over-sized sweater came from the same thrift store but many months apart. How cool is that? I highly doubt they belonged to the same owner but now they get to mingle together in my closet. 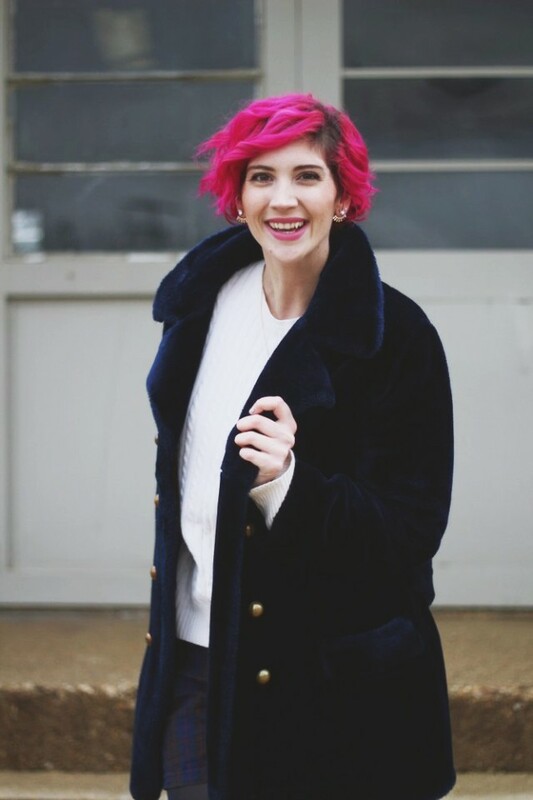 If you want more tips on how I get clothing for free, like this jacket; check out this video post for all the deets. I’m hoping to cover lots more thrifty topics this year so feel free to let me know in the comments what you’re struggling with. You can also let me know anonymously in my reader survey that I’m keeping open until the end of the weekend. Thank you for all the responses so far! They’ve been funny, enlightening, and even a little strange. I wouldn’t expect anything less from you guys! *No stuffed animals were harmed in the making of this coat.